ZENTONIL® ADVANCED contains S-adenosylmethionine (SAMe), which is an anti-oxidant precursor, and Silybin, the active component of Silybum marianum(milk thistle). Combined, these ingredients help to support liver function and neutralise dangerous free radical molecules within the liver. 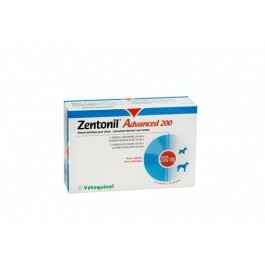 ZENTONIL® ADVANCED has the added benefit of presenting Silybin in a form that greatly enhances absorption, and a patented manufacturing technique that allows the pure, stable form of SAMe to be better absorbed by the body without being damaged by stomach acid. When liver health is compromised, ZENTONIL® ADVANCED can give the liver a helping hand to regenerate and produce free radical-fighting anti-oxidants. S-adenosylmethionine (SAMe), which is naturally synthesised in the body, mainly in the liver. SAMe is converted into an antioxidant, which helps neutralise damaging molecules that build up within the liver when support is needed. Silybin, which is the most active component of the herb Silybum marianum(milk thistle) and has been shown to help preserve normal liver function. Silybin enhances the action of SAMe and helps with liver regeneration, maintaining structure of hepatocyte (liver cell) membranes, and scavenging free radicals. Microencapsulation molecule technology allows ZENTONIL® ADVANCED to be chewed or split, while ensuring concentration and bioavailabilityof the compounds remain optimal without being damaged by stomach acid. Milk derivatives, derivatives of vegetable origin (including silybin / phospholipids 4.77%), oils and fats, minerals, yeasts, various sugars. Protein sources: caseinate, whey protein. Highly digestible carbohydrates. Lactose, glucose syrup. Tablets should be given on an empty stomach at least one hour before, or two hours after food for optimal effectiveness. Flavoured Zentonil® tablets aid administration without food. The liver has a tremendous ability to regenerate. Because of this, when the balance of liver health is tipped, early indications can be masked. In times when the liver is in need of support, dangerous molecules called ‘free radicals’ can build up. Antioxidants serve as the first line of defence against free radicals to help preserve normal functional tissue. Unfortunately, at the time when the liver needs to produce more antioxidants, you often find concurrently that levels appear to be reduced. However, certain molecules can help support liver function. This is where Zentonil®comes in! Ask your vet for advice if you are concerned about your pet's health, or if you require further information following a diagnosis of liver problems in your pet.